In our endeavor to assist our clients with the desired product & Real Estate Consultancy Services, we, at ANUPAM PROPERTIES have associated ourselves with all the major brands of real estate industry. We serve real estate consultancy services as we are trusted commercial and residential real estate agents in Faridabad, driven by a philosophy that is based on achieving client satisfaction, execution excellence and timely delivery. Our professionalism is characterized by quality, innovation and effectiveness that is delivered with enthusiasm and determination. Tapping into the core competencies, we as commercial and residential real estate agents in Faridabad, provide end-to-end commercial and residential real estate services to our clients. We understand that, it takes more than a great idea to start an organization. Hence, we as a property consultant in Faridabad utilize the right market focus, a good management team, an extensive network of resources to deliver the desired property on schedule. As a customer centric organization, our management places great emphasis on maintaining long term and transparent relationships with our clients. Hence, we have been able to effectively anchor our position in the market place. 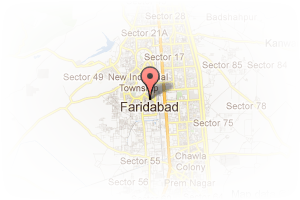 Address: SCF-34, Part II Market, Sector 19, Faridabad, Haryana, India. 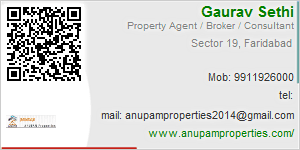 This Broker Profile page for "Anupam Properties" has been created by PropertyWala.com. "Anupam Properties" is not endorsed by or affiliated with PropertyWala.com. For questions regarding Broker Profiles on PropertyWala.com please contact us.